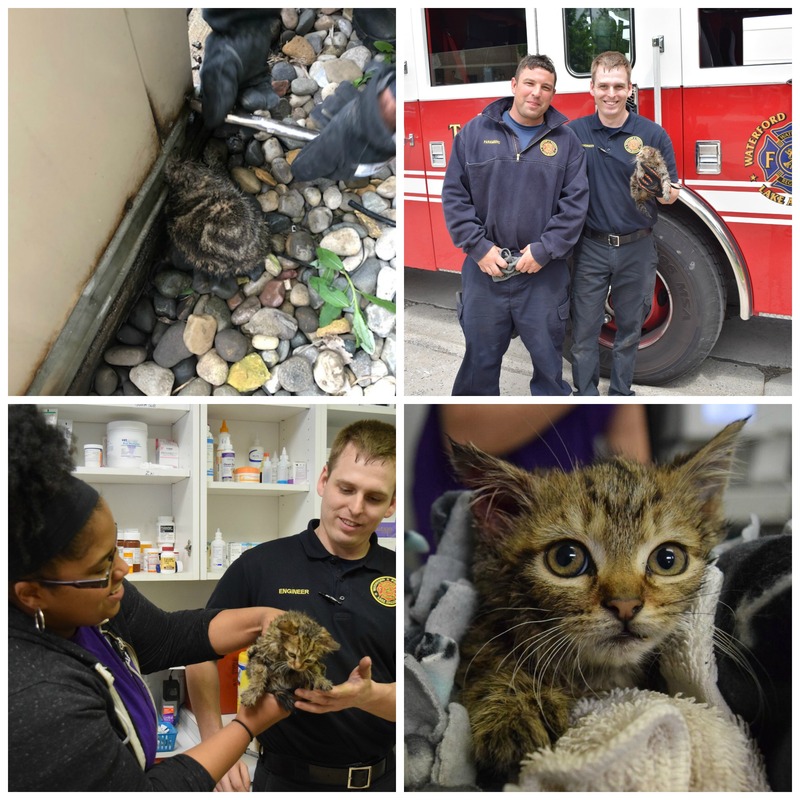 PONTIAC, MI– The Waterford Regional Fire Department responded to a call about a small kitten stuck in an air conditioning unit on Tuesday, May 22. The kitten had wedged itself into a tiny hole in the air conditioning unit, where her ear was stuck under a piece of metal. The crew tried several tools and tactics to free the kitten, including the jaws of life during the hour-long ordeal. The Michigan Animal Rescue League (MARL) is one of southeast Michigan’s most established animal shelters, serving the community since 1953. The mission of the Michigan Animal Rescue League is to be the community leader in nonprofit animal welfare, providing the highest quality of life to dogs and cats through rescue, medical care, short-and long-term sanctuary, adoption, education and outreach. At MARL we believe the quality of “the wait” for a forever home can make all the difference in the future of an animal.